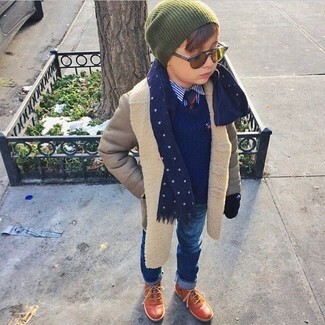 Consider dressing your boy in a navy sweater with olive trousers for an easy to wear, everyday look. Green sneakers are a savvy choice to complete this getup. 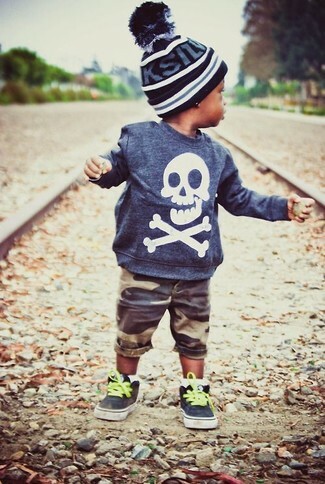 Suggest that your munchkin wear a Ralph Lauren babys cotton wool sweater jacket with grey jeans for a comfy outfit. 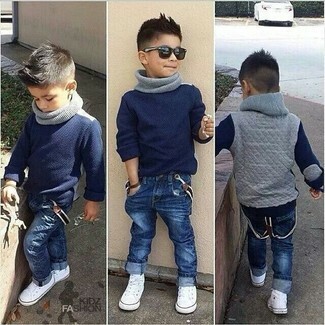 As for footwear your boy will love tan boots for this outfit. 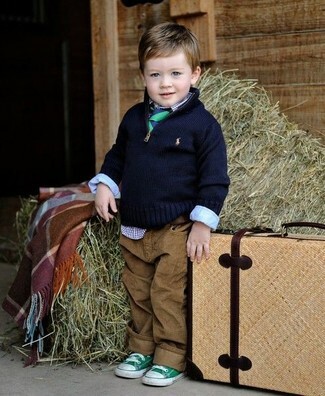 This combo of a navy sweater and brown shorts has all the potential to become your son's favorite. As far as footwear is concerned, suggest that your boy go for a pair of black sneakers. 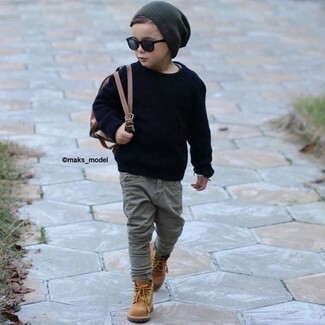 Suggest that your boy team a Ralph Lauren babys cotton wool sweater jacket from Saks Fifth Avenue with brown jeans for a fun day out at the playground. The footwear choice here is pretty easy: complete this getup with dark brown boots. Suggest that your boy pair a Ralph Lauren babys cotton wool sweater jacket with navy horizontal striped sweatpants for a comfy outfit. 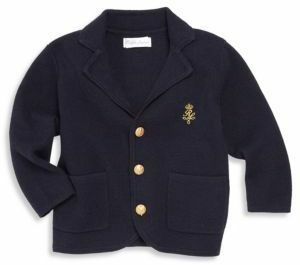 Your son will look uber cute in a Ralph Lauren babys cotton wool sweater jacket from Saks Fifth Avenue and blue jeans. Brown boots are a great choice to round off this style. Wearing a Ralph Lauren babys cotton wool sweater jacket from Saks Fifth Avenue and beige trousers is a wonderful fashion option for your boy. As far as footwear is concerned, suggest that your tot throw in a pair of tan boots. Suggest that your child choose a Ralph Lauren babys cotton wool sweater jacket from Saks Fifth Avenue and navy jeans for a fun day out at the playground. As far as footwear is concerned, let your kid rock a pair of white sneakers.